Telegram is a free messaging app that is making life difficult for WhatsApp. It is developed without an eye for profit, instead placing your privacy and freedom first. In addition, the app is a lot of fun to use. 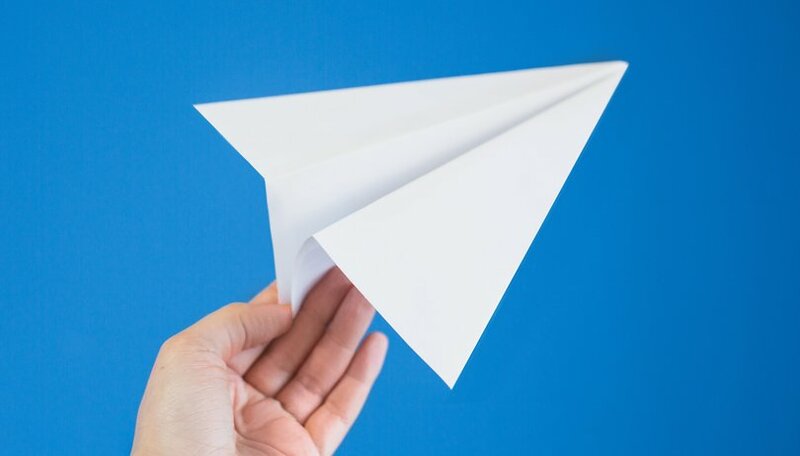 In this review of Telegram, I’ll show you what I mean. Telegram is the best WhatsApp alternative on the market. The advantages start with its price: Telegram is a free messenger. Also, the developer is not interested in making a profit. On the app’s FAQ page it says: "making profit will never be a goal for Telegram". Because of this, there is no advertising to be seen. Unlike WhatsApp, Telegram can be used simultaneously on different devices. For PCs, there are native applications and the web client. For tablets and smartphones, there are native apps for iOS, Apple and Windows Mobile. The secret chats are the most important feature of Telegram. The end-to-end encrypted conversations, together with any media you transfer, are decipherable only to the devices of the chat’s participants; no one in-between can read or view anything. The secret chats also, unfortunately, have a number of disadvantages. The chat can be viewed only on the two devices it began on; technical reasons prevent you from picking up a chat on your PC that you started on your smartphone. With traditional chats, it is possible to continue them on any other device, because they are synchronized with a server. The other weakness is that the secret chat logs and all transferred images remain trapped in the devices and cannot be transferred. There are no backups. Secretly transmitted images have to be saved individually to your gallery if they are to be backed up at all. Only the server-client encrypted, so non-secret, chats are completely stored on the servers. So if you change your phone one day, only the secret chats will disappear, while all the rest will be completely restored. Similar to Facebook Messenger, Telegram also features some playful elements. Stickers provide a little entertainment through expressive pictures. As is often the case, these are an open platform, so anyone can compile their own sticker packs to use. Stickers are discovered through interacting with the bots. While Google, IBM, Amazon and Facebook are talking a lot about bots and automated service chats, Telegram has used bots for a while for a slightly different purpose. The screenshots above show how you can use emoji sets in conversations behind the @sticker tag to find stickers. @sticker is the signal that Telegram uses to feed a bot with emoji. The bot will return a list of stickers that creators have tagged with that emoji. If you like a sticker, you can save it and its related stickers as a sticker package, making it more readily accessible. In this way, Telegram can, little-by-little, be adapted to your taste. And that's a pretty clever form of creating customer loyalty. The biggest disadvantage is the necessity of using a phone number. Unlike in Threema, it is mandatory to use a phone number to register with Telegram. And any change of telephone number must be carried out within the app, through an assistant, as in WhatsApp. The advantage of this system is that you can synchronize your Telegram contacts with your phone's contacts very quickly and see who else you know is also using Telegram. One positive is that your phone number is treated as confidential by Telegram. If you’re ever involved in a group chat with unknown participants for whatever reason, they will not be able to see your phone number. The specifics about the visibility of your phone number are stated in the FAQ section of Telegram. Telegram orients itself through Google’s Material Design principles. However, it makes compromises to ensure that the layout of the chat clients across all platforms is uniform. Because of this, some iOS design elements can clearly be identified. For example, you can swipe from the left edge to the center of the screen in chats to get back to your contacts list. Despite these slight inconsistencies with other Android apps, Telegram works intuitively and is well explained. Thanks to an integrated questions-and-answers section, you should be able to quickly come to grips with the app’s full functionality. Telegram operates at lightning speed. Messages, either to the server or directly to a secret chat partner, are swift. Data and power consumption are normal for an app of this type. Over a multi-week test phase, the app didn't crash once. The developer provides updates at short intervals, keeping Telegram in tidy form. Telegram is free and marketed according to official figures, not user data. Thus, the price-performance ratio is automatically perfect. Telegram is an excellent alternative to WhatsApp that you should try immediately. The messenger is full of ideas that are missing from other messaging clients. It also provides the perfect compromise between security and availability. Thanks to stickers, bots and many hidden features, new users will quickly find Telegram to be surprisingly fun, and therefore likely to stick by it. And best of all: thanks to the free-to-use and open source culture, even from a political perspective, Telegram is better positioned than most other chat clients. What do you think of Telegram? Let us know in the comments. Telegram is best German Android Messenger, but WhatsApp is dominating Messenger. Another cool advantage of Telegram is how much they make it easier to develop and launch a bot on the platform. Unlike Facebook that requires to go trough an arduous approval and testing process, developers can test their bot ideas on real users - as long as they meet minimum requirements. Maybe Kik could compete with Telegram on the number of available bots, but other popular messengers are way behind. Waoo... It is excellent point.. though, it is satirical but it is true.. WhatsApp is queen. I like the concept of Telegram, and I might even give it a go, but to me it doesn't seem like it will replace Whatsapp. However I personally use Kik messenger the most. A year or 2 ago there was a massive failure of WhatsApp worldwide lasting like a day or 3 (?) and all my friends including me installed Telegram. After WhatsApp was online again everyone left Telegram again. So I don't think it will be a replacement for WhatsApp ever, why chatting with the same friends in two simular apps, from wich WhatsApp is world's most favorite.... That is my main thought behind that.